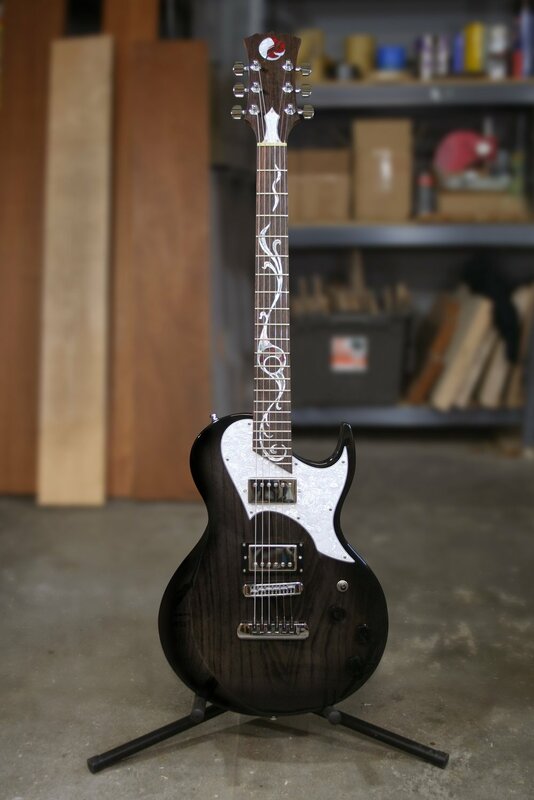 Based on guitar designs that have been around for centuries, the Siren is built for the classic-minded guitarist. 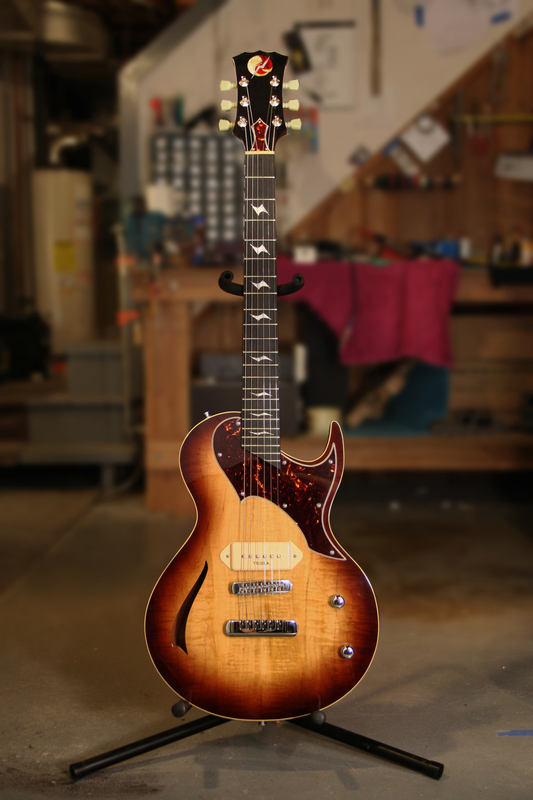 Starting with a single p90 pickup in the bridge position and a thicker, rounder neck, the Siren can go from twang to snarl with a turn of the volume knob. Modern features include a carved forearm contour and an asymmetrical heel carve for comfort and speed. Available in a wide range of wood and finish choices, as well as electronics and hardware. Add a Bigsby tremolo for additional versatility. View more photos of the Siren in the photo gallery. 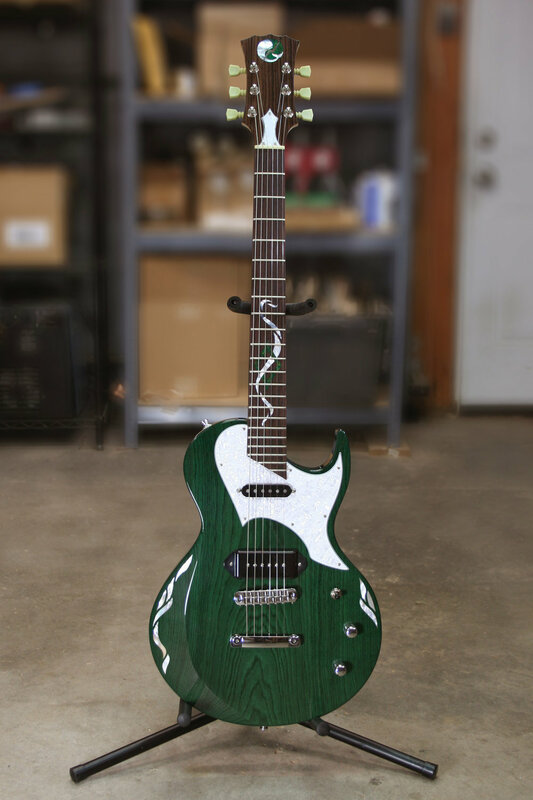 A flat top semi-hollow body with one f-hole and plastic binding on top.